Join us to write with prompts, discuss our work, share stories and try some cool new writing exercises. We’ll have a gourmet lunch and snacks all day to keep you fortified. 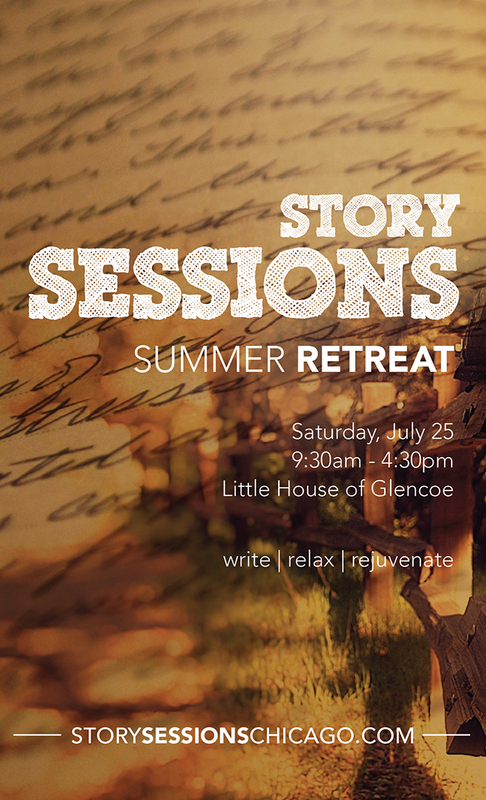 We’ll also have special meditation and energy work guests to help free your inner stories! This is going to be one neat retreat! All you need is a notebook and pen. No prior writing, preparation or experience is needed. Just bring a willingness to write, listen and share. Space is limited. Reserve your spot and purchase your ticket today! $99/person includes all workshops, food, meditation and personal energy work session. Join us and be sure to tell your writer friends about this great event as well! Check out a recap of last summer’s retreat here! Rachael Smith is a professional triple threat- writer, graphic designer and marketing maven. She became hooked on writing and performing short personal non-fiction three years ago and is proud to be part such a warm and welcoming community. Rachael is currently working on a longer piece, Forever Maybe, a memoir of “non-dating” dating. She is also a reiki master and is excited to use healing energy work with retreat goers. You can expect to feel anything from peacefully calm to blissed out inspiration! Diane Kastiel is a freelance writer and storyteller from Chicago. A three-time Moth StorySLAM winner, her work has been featured on National Public Radio’s Moth Story Hour and its podcast. Diane has also performed at Story Sessions, Story Club, Chicago’s Fillet of Solo festival, and WBEZ’s 2015 New Year’s Eve party. Diane has been doing yoga for 15 years and added meditation four years ago. She bases her practice on the Mindfulness Based Stress Reduction (MBSR) techniques developed at the University of Massachusetts Medical Center and is currently studying meditation at the Shambhala (Buddism) center in Chicago.